THE Ministry of Foreign Affairs in a statement yesterday said it was investigating the recent incident at the Organisation of American States (OAS) in Washington DC of TT allegedly opposing a waiver of membership fees payable by hurricane-ravaged Dominica to the OAS. “An investigation into the briefing arrangements of the public official and the circumstances involved in the discussion at the OAS is underway. Shortly a report, as requested, would be made available to the Honourable Prime Minister (Dr Keith Rowley. )” TT’s representative to the OAS is Anthony Phillips-Spencer. The statement appeared to be self-contradictory as regards assigning any blame for the incident. In one part, it alleged misrepresentation in reports of the incident yet, in another section, it said a public official’s actions did not represent any change in TT’s concern for Dominica. The statement said TT’s solidarity with the people of Dominica is without question, and TT’s technical, financial and diplomatic cooperation with Dominica, especially after Tropical Storm Erika in 2015 and Hurricane Maria last year, attest to the two nations’ strong and abiding relationship. “The Ministry of Foreign and CARICOM Affairs wishes to reiterate its unwavering support for Dominica, tangibly demonstrated in TT’s recent aid and expressions of empathy to that country. “The position presented at the OAS is not aligned with the actions, policy or orientation of TT towards Dominica. And the TT Manufacturers Association (TTMA) in a statement yesterday, lamented TT’s stance at the OAS. The TTMA said TT’s remarks do not dovetail with the TTMA’s ongoing efforts to send relief to Dominica, even as TTMA members hold talks on rebuilding Dominica. “This outpouring of support helped to forge a very strong relationship among our islands, one on which we hope to build through a sustained rebuild effort, the foundation of which is already being laid,” the TTMA said. THE Ministry of Foreign Affairs in a statement today said it was investigating the recent incident at the Organisation of American States (OAS) in Washington DC of TT allegedly opposing a waiver of membership fees payable by hurricane-ravaged Dominica to the OAS. "Currently, an investigation into the briefing arrangements of the public official and the circumstances involved in the discussion at the OAS is underway. 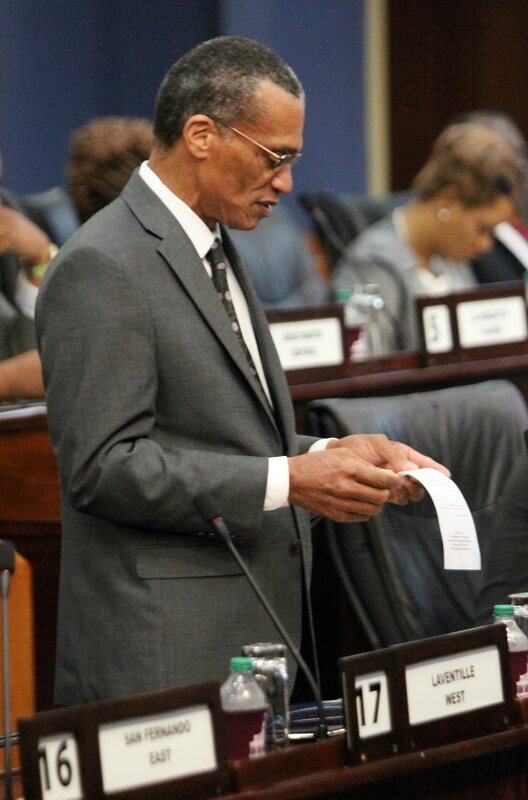 Shortly a report, as requested, would be made available to the Honourable Prime Minister (Dr Keith Rowley.)" The TT representative to the OAS is Anthony Phillips-Spencer. However, the statement otherwise appeared to be self-contradictory as regards assigning any blame for the incident, in one part alleging misrepresentation in reports of the incident yet in another section saying a public official's actions did not represent any change in TT's concern for Dominica. "The position presented at the OAS is not aligned with the actions, policy or orientation of Trinidad and Tobago towards Dominica. "A suggestion by a public servant at an OAS meeting that Dominica's dues not be collected at this time but be deferred to some future time in no way reflects any change in the demonstrated concern of Trinidad and Tobago for the welfare of the people of Dominica." Reply to "TT support’s Dominica"